Finding a good quality hunting pack that performs in the rugged elements and doesn’t break the bank is a quest as difficult as stalking a unicorn in the wide-open plains. 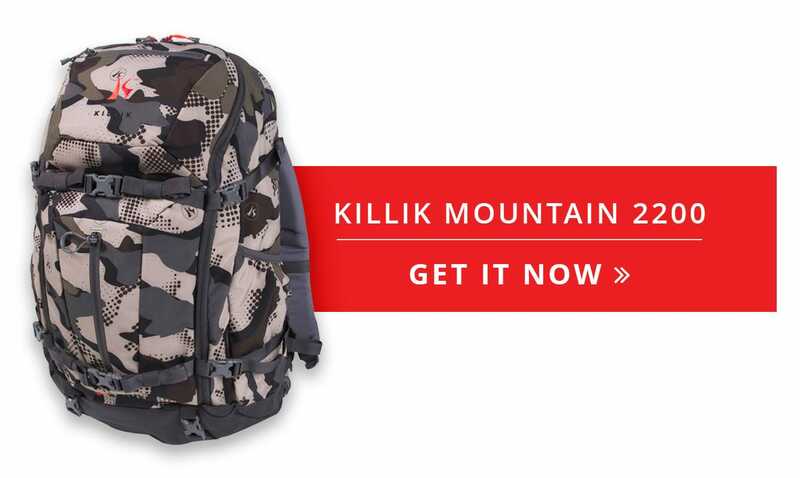 However, Killik Gear has created three packs that provide amazing functionality and tremendous value and are worth a close look if you’re in the market for gear hauling, meat packing, or just a day-long excursion. 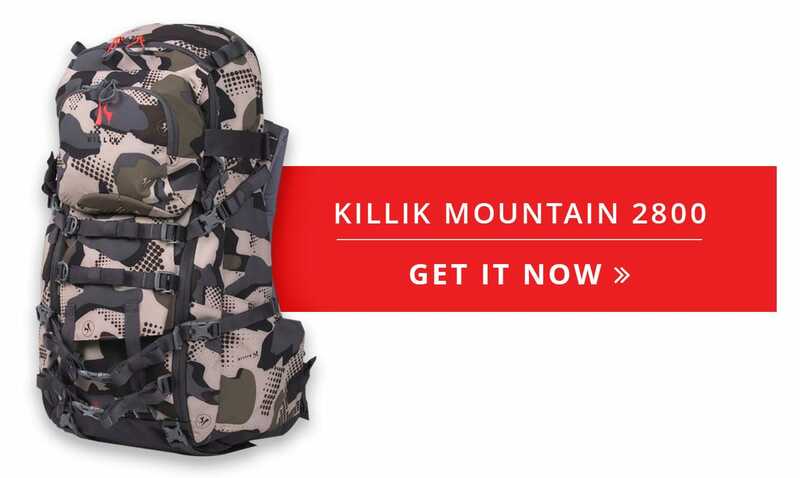 Each of the packs is crafted from a quiet and tough water-resistant four-way stretch quad flex material in Killik K1 camo pattern and a synthetic rip-stop material for durability. The backs are lined with a padded jersey material to wick away moisture and provide excellent airflow. Reinforced material is added to areas that have increased stress or allow attachment of additional gear. 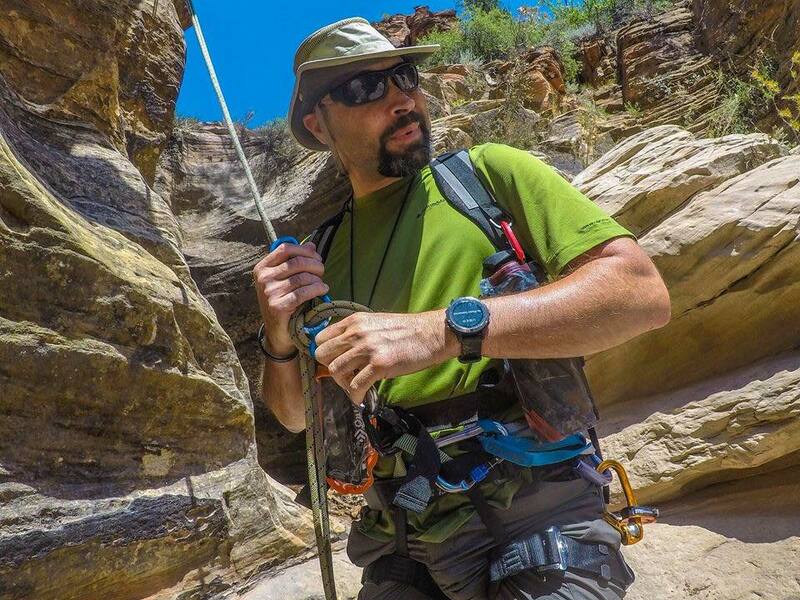 Duraflex hardware and buckles stand up to rigorous use in the field. An integrated safety whistle is molded into each sternum strap buckle for signaling. All three packs come with an integral blaze orange rain cover that zips away into a hidden compartment on the bottom. Wide straps distribute the load evenly and are also padded for comfort. Heavy duty YKK zippers with integral molded loops make access easy even with bulky gloves. Color-coded cords on the zipper pulls help you quickly find the desired compartment for even faster access. All of the packs are hydration bladder compatible. The H2O is the smallest of the packs and is ideal for scouting. 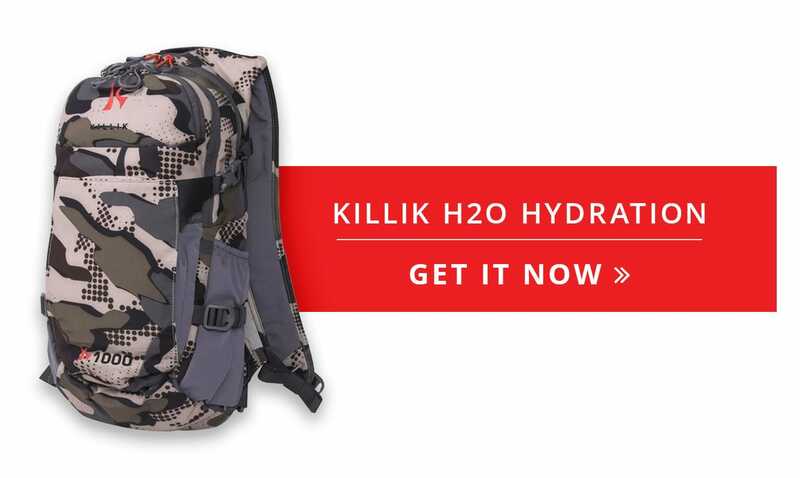 It comes with an included 3-liter HydraPak hydration bladder. It features 1,000 cubic inches (16 liters) of total storage with a main compartment, a smaller admin compartment with divided gear organizers, two side water bottle pockets, a microfiber lined sunglass pocket, and an easy access external “stuff-it” pocket on the outside. Plenty of compression straps make it a cinch to compact gear for a smaller profile. With 2,200 cubic inches (36 liters) of total storage, this pack has plenty of room for all of your gear. The lightweight internal frame adds minimal heft to this 4.5-pound pack, but provides added stability and weight distribution. The wide, padded lumbar belt keeps the pack close to your torso for better control and comfort and features Velcro straps for carrying a sidearm or knife sheath. A removable weapon carry system lets you easily transport a rifle or bow and two roomy external pockets make it easy to quickly access essentials. Two roomy stretch pockets on the sides are perfect for your spotting scope and tripod. This workhorse pack features 2,800 cubic inches (46 liters) of hauling space and provides a modular system that lets you use the pieces together or separately to provide unrivaled versatility for hauling gear and meat. The roomy pack offers a massive central compartment ideal for all of your hunting and camping gear, dry clothing, food, and water. Four compression straps span the outside to prevent shifting. Two outside pouches on the sides are ideal for water bottles, shooting sticks, or a tripod. The entire pack portion is removable to reveal a full-featured freighter meat shelf that can be used to transport even the heftiest of prey. The straps that hold the freighter have plenty of expansion room to allow you to load the freighter and then reattach the pack portion over your load, so you can use the freighter by itself, as a gear hauler, or both for meat and gear. A removable external pouch features its own waist belt, so it can be used alone as a lumbar pack or attached to the wide and comfortable straps as a bino harness. The buckle on this harness can be removed and used as a replacement for the main waist belt in case a field-expedient repair is needed. The shoulder straps can be adjusted vertically to fit a wide variety of torso lengths and both top and bottom load lifter adjustment buckles make orienting the pack vertically as simple as pulling a couple of tabs. A fully adjustable internal frame adds amazing stability with minimal weight and the entire pack weighs just 6.5 pounds empty. The pack also features the same weapon carry system, Velcro waist straps for holsters, hydration pocket (bladder not included), and other features of the Mountain 2200 with much more room and versatility. All three of these packs provide excellent features and, depending on your duration and the nature of your adventure, one of them will definitely serve you well in the field on your next excursion.